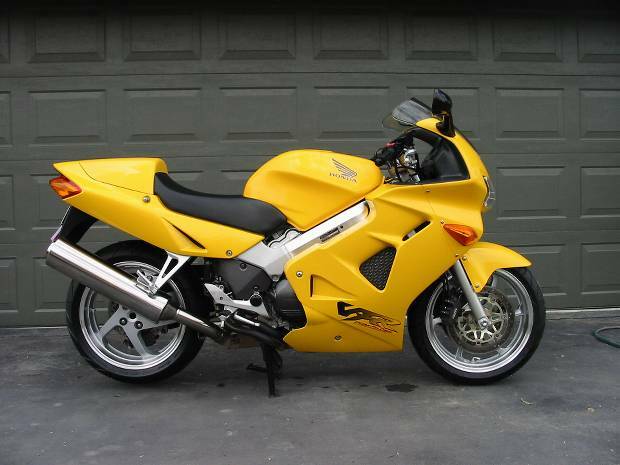 After many months of looking at my VFR I decided that the wheels did not add to the look of the bike. 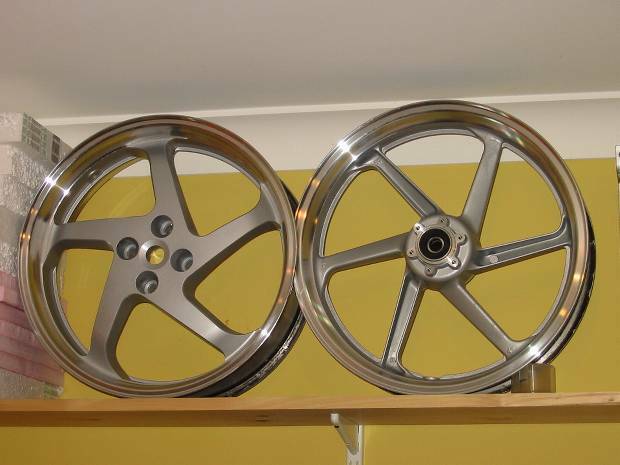 I had read an many forums that different approaches to stripping and polishing the wheels and whilst I liked the look, I did not like the "polish" bit as I have an aversion to this type of work. So I decided that if I took a similar approach to the factories, by painting the centre silver and leaving the rim shiny it would look quite good. 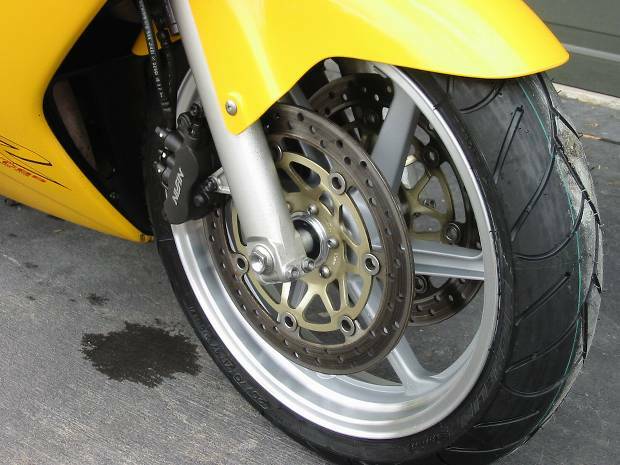 After inspecting the VFR wheel it was apparent that under the black paint was a smotth machined rim, but the spokes were still rough cast. This is exactly what I wanted. Here is the way that I went about doing the job. One roll of 1" masking tape. The Bike before the change. The Black Wheels make it look heavy. First job is to clean all that grease off. If you don't the paint stripper does not work that well. Wheels off and ready to be stripped I used two cans of paint stripper. 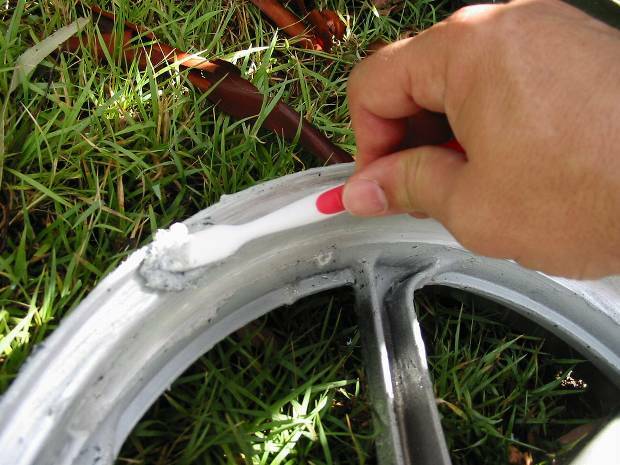 Paint the wheel with paint stripper and leave it for about 5 minutes. (use gloves as this stuff will burn your skin. After the first stripping, as you can see there is a grey coloured etch primer under the paint. This is hard to get off. 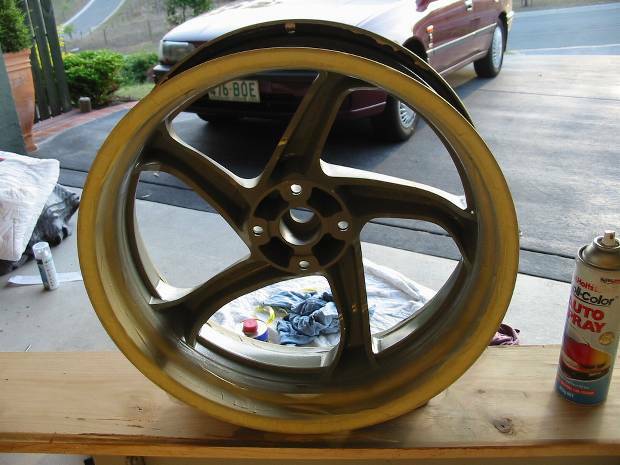 This is the back wheel after its first application of paint stripper. You will probably need to give it three or four hits of paint stripper to get to look like the next picture As you can see the etch primer hangs on pretty good. But you can see that the outer edge is pretty shiny. 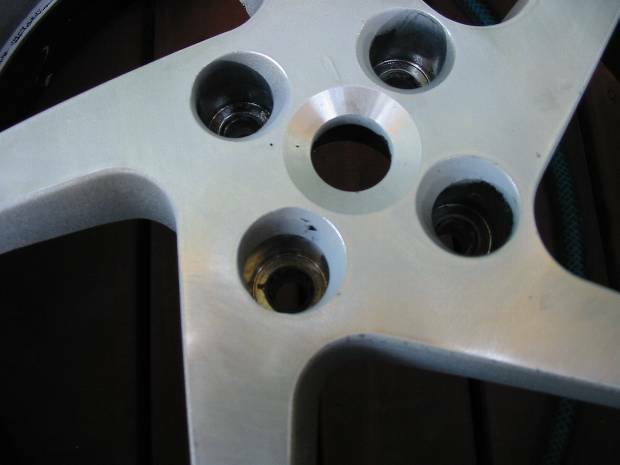 As is the centre where the wheel has been machined at the factory. I used more etch primer and a toothbrush (and no gloves...bad thing to do.) to coax the etch primer off the shiny areas, it works but you need to persevere. Second coat of stripper to remove the etch coat. Also if you use some acrylic lacquer thinner it comes of quite easy. (found out after I did this) As you can see I did not remove the etch primer from the spokes. 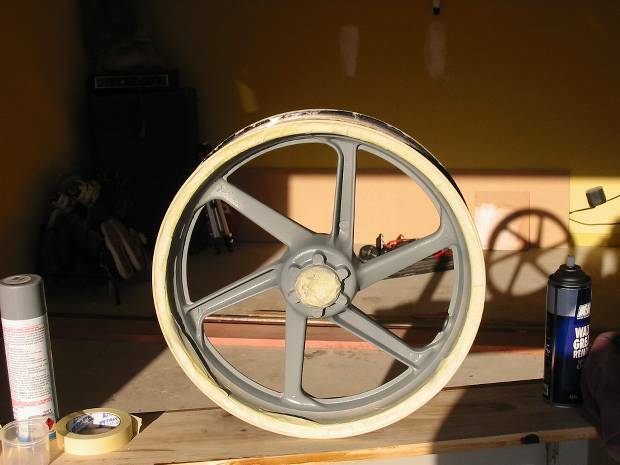 There is no point as I am going to paint the spokes silver and the etch primer will help the paint stick. 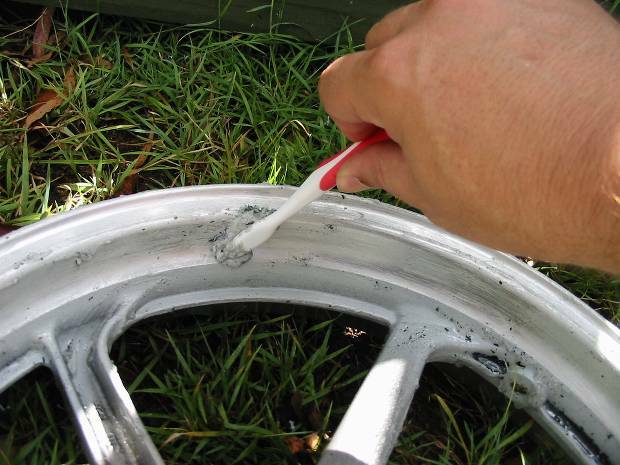 Also make sure you get the wheel dry before you start to get it ready for painting. 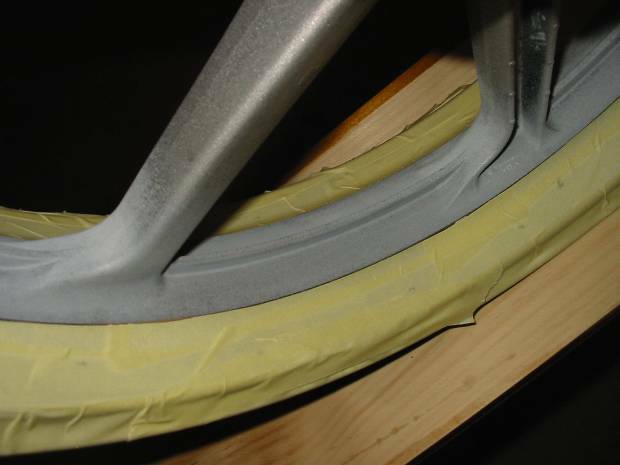 When you mask up the wheel, make sure you have a clean and sharp edge where the masking tape meets the centre of the wheel. If you do not get tis right the paint will bleed under the tape and it will get on the shiny area. Don't worry if it does, as you can get it off with some thinners, but try to get it right. Ready for the primer. 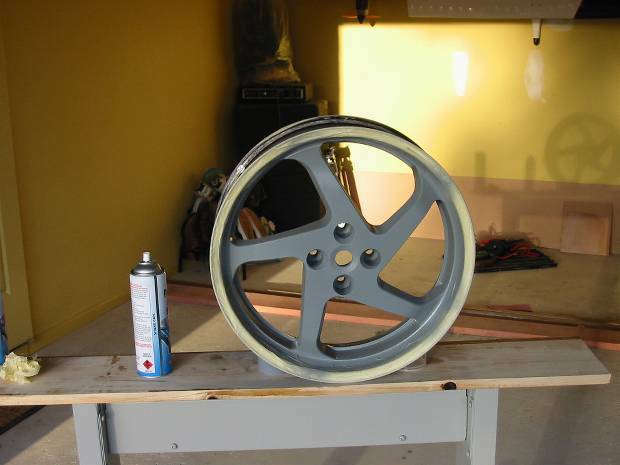 The wheel has been sprayed with an etch primer this will help the top coat grip the aluminium. 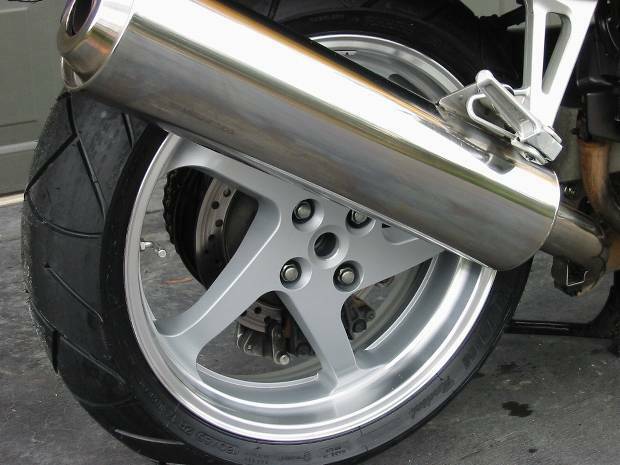 Back wheel with its primer on. 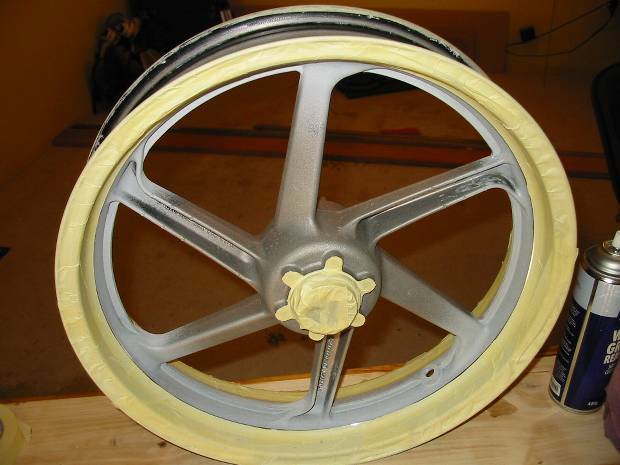 Back wheel sprayed with its top coat and the masking tape removed. 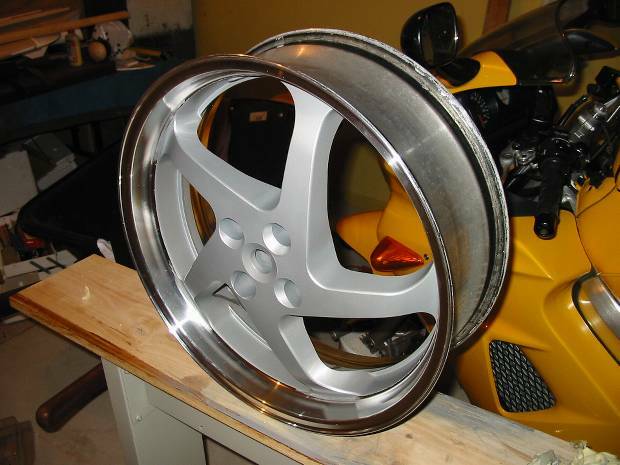 Back wheel after it has been completely sprayed with clear lacquer. 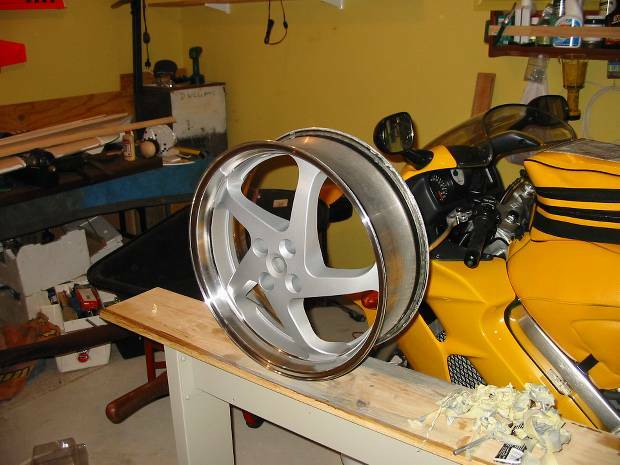 Both wheels waiting to dry. 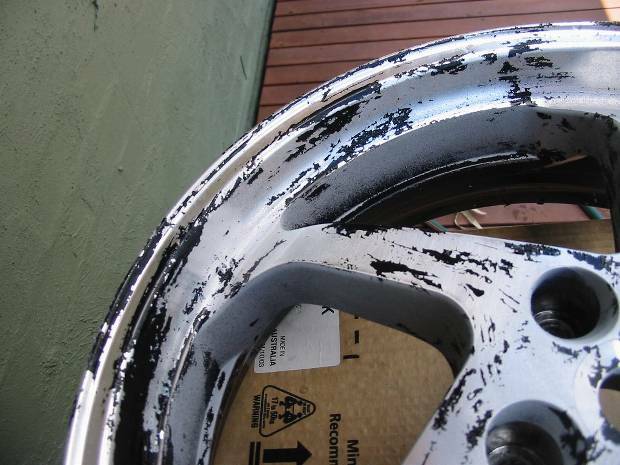 let them dry for at least a week, otherwise they will get marked when the tyres get put back on. 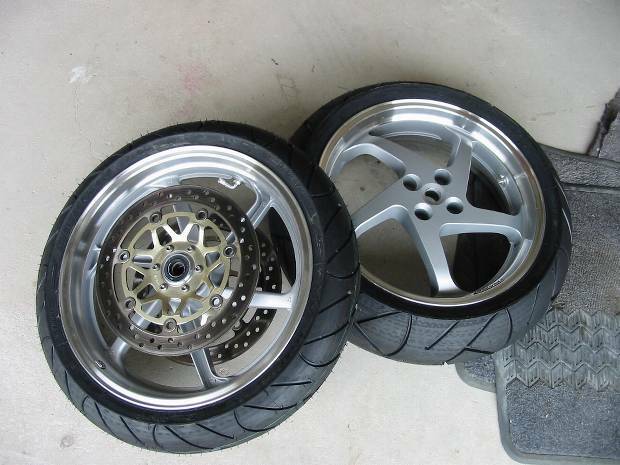 Tyres on and they are already starting to look better. Back on the bike and amazingly it look 20kg lighter. 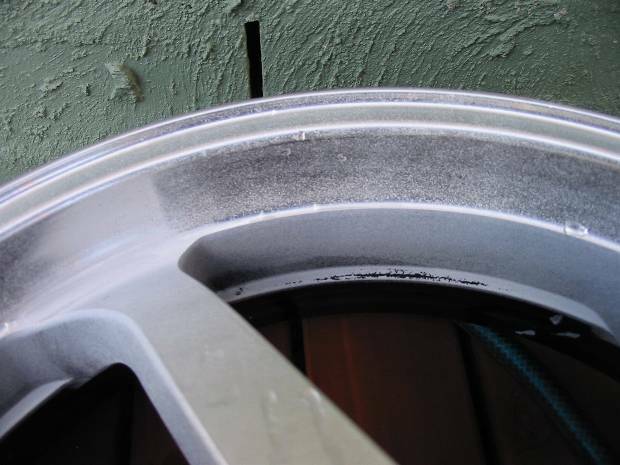 Back wheel, and no polishing for the future. Same with the front.